Tuticorin: 6 years later, justice has finally prevailed for the family of an Anaesthetist, who was murdered by an auto driver in the year 2012 after the auto driver’s pregnant wife died under the doctor’s supervision. The Madurai Bench of the Madras High Court has recently upheld the decision of the lower court that sentenced life imprisonment to the driver, the key accused of the murder of a female Anaesthetist, Dr T Sethulakshmi then 55 years old. According to media reports, the auto driver, Mahesh plotted the murder of Dr Sethulakshmi, holding her responsible for the death of his wife. His wife, who was 24 weeks pregnant, was brought to the Employees State Insurance (ESI) Hospital where Dr Sethulakshmi worked as the medical officer and an Anaesthetist. The doctor found that the woman’s 6-month-old foetus had died in the womb and accordingly suggested immediate surgery to remove the dead foetus and save the life of the mother. During the surgery, the patient developed HELLP syndrome (Hemolytic anaemia, Elevated Liver enzymes and Low Platelet count) and all vital parameters started going down alarmingly. To save her, Dr Sethulakshmi took her in an ambulance to a well-equipped private hospital near Tuticorin South police station, but the patient, unfortunately, couldn’t survive and died en route. 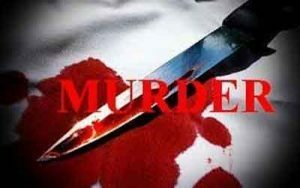 Dejected and enraged by his wife’s death, the accused attacked the doctor at her clinic in at Third Mile, Tuticorin, along with four of his friends and killed her. He was later booked and arrested under Sections 452 (trespass), 302 (murder) and 324 (voluntarily causing hurt) of the Indian Penal Code. It was alleged that the accused was a history-sheeter, having several cases pending against him prior to the murder of the doctor. In due course, he was found guilty by Thoothukudi Mahila Court which sentenced him for life in the year 2015. A Division Bench of honourable Justices M.M. Sundresh and N. Sathish Kumar now upheld the life sentence awarded to the accused in 2015 for the murder of Dr Sethulakshmi, Chief Doctor at ESI Hospital, Thoothukudi, reports The Hindu. TOI reports that the accused had presented his appeal before the court but it was dismissed confirming his life imprisonment and the court acquitted others named in the case. Only life imprisonment. It should be rigorous work imprisonment till life. Medicos Legal Action Group has instituted MLAG Dr T Sethuluxmi award which is given at its annual conference for a doctor who shown exemplary legal resolve and has fought his case leading to a verdict which has benefited all doctors or has helped doctors legally. Previous 2 recepients were Dr Suresh Gupta who fought for the landmark judgment against NCT of Delhi regarding criminal prosecution of doctors and Dr M C Gupta who has served the medical community with his legal knowledge for many years.